SENATOR DAVID NORRIS has said one of the most common pieces of advice given to people attempting to read Ulysses is “absolute nonsense”. The James Joyce expert has read the classic piece of literature several times, but most people are put off by the its length and style of writing. The book, set in Dublin on 16 June 1904, has 18 ‘episodes’ or chapters, and many people often say the first three are the hardest to read, but Norris disagrees. Listen to it, read it as far as you can with your ears … It gives you an entrance into the world of Ulysses to hear it. If you’re bored, skip a bit, look for a joke – there are plenty of wonderfully funny jokes. If you’re bored or confused, forget about it, move on. So, how many times has Norris read it himself? “I haven’t the slightest idea,” he told us. Norris is going to interview Stephen Fry about Joyce this evening – one of several events taking place to mark Bloomsday. 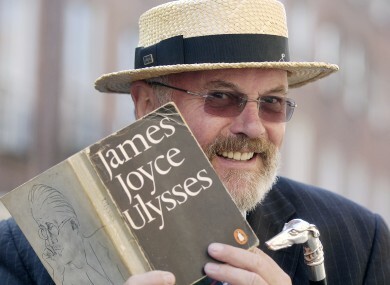 Email “David Norris: The most common advice about reading Ulysses is 'absolute rubbish'”. Feedback on “David Norris: The most common advice about reading Ulysses is 'absolute rubbish'”.